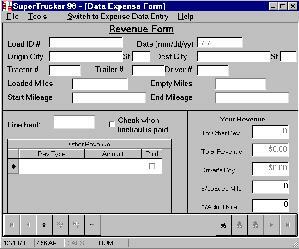 SuperTrucker 98 combines the ease of use of SuperTrucker 2 with the Graphics power of Windows 95/Windows 98 to give you a powerful tool to help you manage your business. 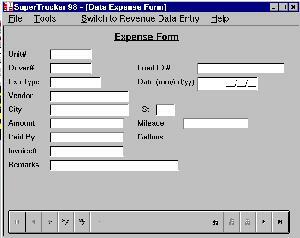 Simple Fill-in-the-Blank forms make data entry a snap for both revenue and expense. 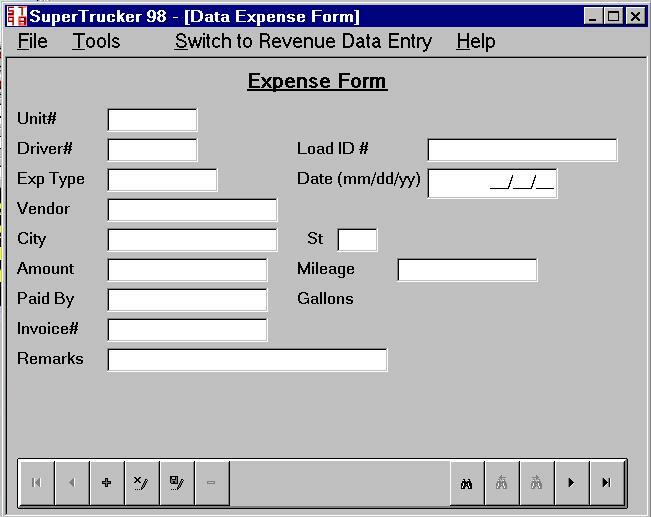 The revenue and expense data entry forms below will capture all the detail you need for each load to generate powerful reports. 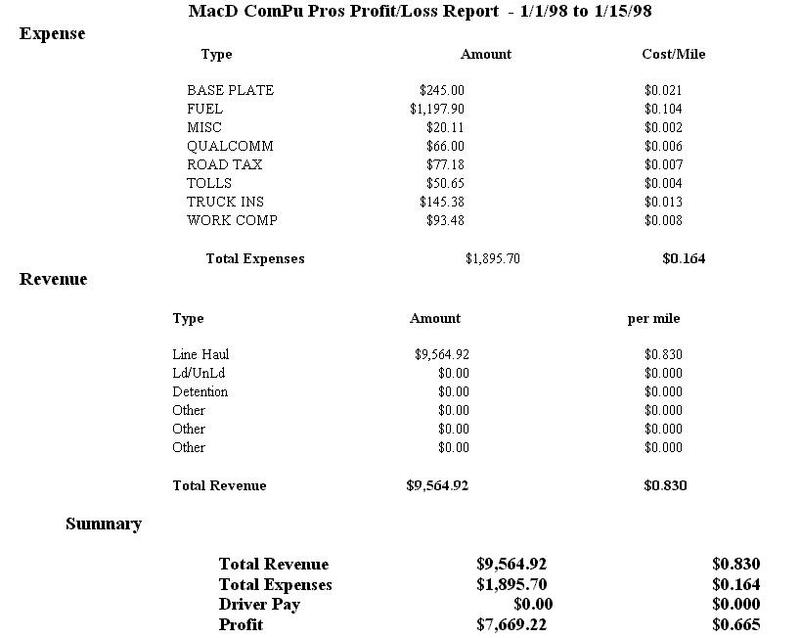 To see the full size of the forms click on them. 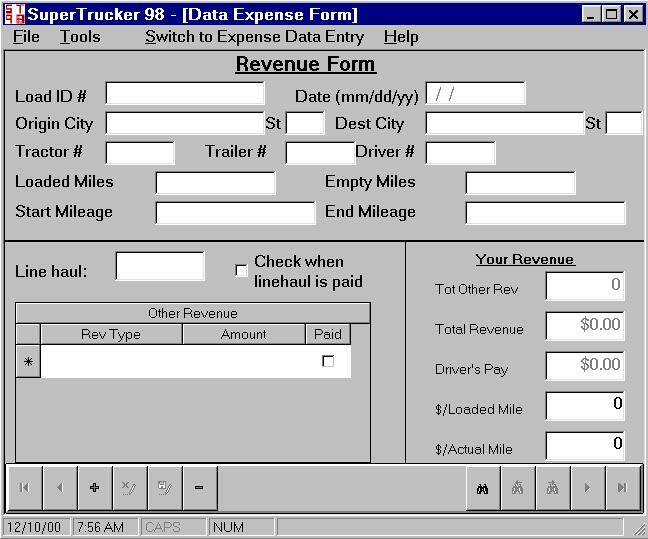 SuperTrucker 98 will work for a single truck operation or a 1,000 truck operation. 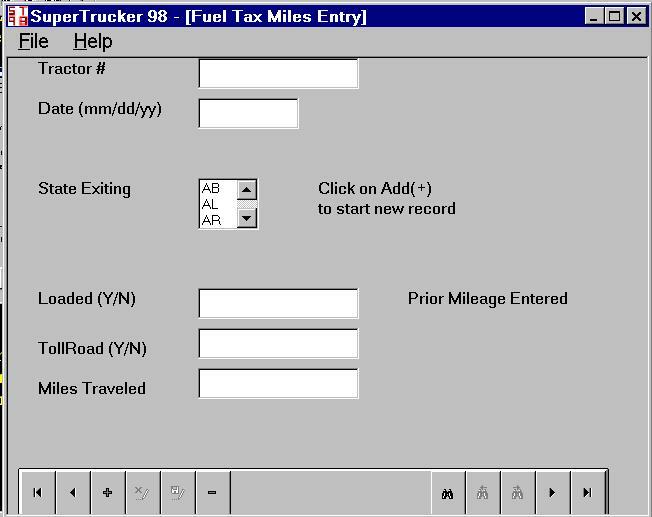 Based on your requirements, it will remind you when PM's and yearly inspections are due. 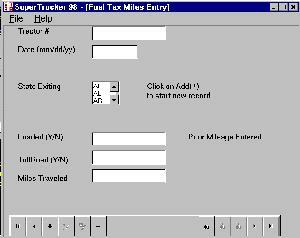 Using another simple Fill-in-the-Blank form, SuperTrucker 98 will assist you in preparing your state fuel tax reports.